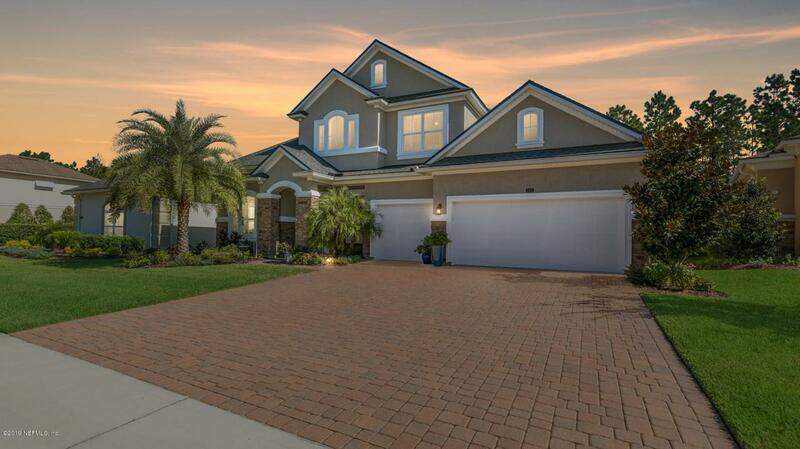 Stunning exterior with stone accents, pavered driveway, 3 car garage, manicured landscaping, and a private backyard that will make you feel like you're on vacation every day! A grand two-story foyer featuring a beautiful wood staircase with wrought iron spindels greets you and set the tone for the rest of the home. Custom light fixtures, arched doorways, moldings, stone accents, built-ins, and more! 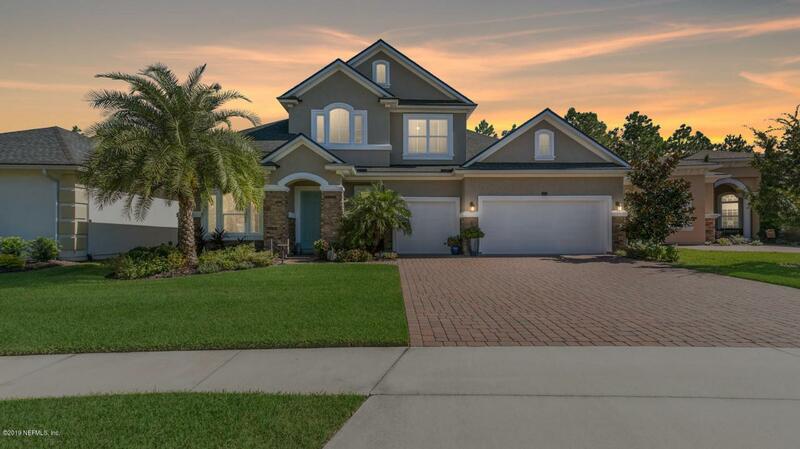 The kitchen opens to the great room and showcases stunning white cabinets, granite countertops, stainless steel appliances, pendent lighting, large island, and eat-in area. A triple sliding glass door opens to the covered and screened outdoor living area where entertaining is made easy with an amazing summer kitchen and inviting pool. Don't let this be the home that ''got away.'' Call today.is complete with a 5 piece master bath and large tub. Head upstairs to find a bonus living area, three additional bedrooms, two full bathrooms, and plenty of storage space. 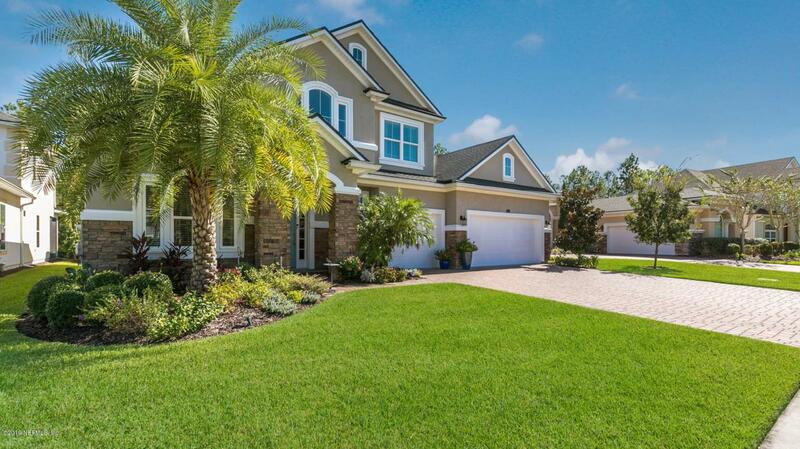 Coastal Oaks is a wonderful gated Nocatee community with Amenities available exclusively to Coastal Oaks at Nocatee residents ,including the Residents' Clubhouse, resort-style pools and more!